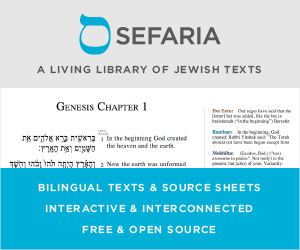 Does halachah (or do extra-halachic sources) have analogous concepts, and if so, what are they and the guiding principles for their application? To put it in somewhat more concrete terms: does nation A (in the modern sense of country) have responsibilities to nation B or the people of nation B, or does the concept of responsibility towards fellow man only exist between individuals and other individuals or unincorporated communities? Does halacha deal with ethics at the nation-state level? @Will has helped me see that an important part of my question is, does halacha generalize to this? If it doesn't, the next question is pretty much moot. @avi raises the question, what kind of intervention do I mean? I was thinking in particular of military: does halacha prescribe military intervention at the state level? But let's open it up; does halacha make prescriptions of any kind, military, trade, non-military? Or is the issue completely vague? @Will, your remarks about the true motives of nations are well-taken, but let's suppose for argument's sake that nation A has absolutely reliable information of atrocities committed by nation B. If this is true, does nation A have a moral responsibility to perform a military intervention? What raised this question for me was learning the other day that North Korea has a system of concentration camps for persecuting its own people. I began to wonder, is there a halachic perspective that says, yes, this means there is a moral responsibility on other nations to stop this from happening through military force? But I thought the general question would probably be more illuminating. Yes, Halacha and the Torah deal with ethics at the national level. Some Rabbis, such as Rav Kook and ilk, even argue that halacha is mostly concerned with the ethics at a national level. They focus on the Klal and the Tzibur as the main ethical imperative, using individuals as the mechanism to achieve that moral dimension. The Torah, and Jewish history teaches a policy of military isolationism in regards to moral failures of other states. Although Israel is commanded to wipe out the 7 nations of Cannan for their moral failures, and the land is to expunge them, Israel is not commanded to destroy any nations outside of it's borders, save Amalek. Amalek, is given special treatment because of what they did to Israel on their way out from Egypt. Despite the fact that neighboring countries to Israel were practicing pagan sacrifices and passing their children through fire, Israel was never commanded to war with them so that they would stop these practices. Further, during the time closer to Roman and Greek era, Israel's fighters were often invited to neighboring countries armies to help them fight some other force. However, Israel never did this on their own, and only fought defensive wars, offensive wars for the land of Israel, or joined a war when invited. Similarly, other nations would only help Israel if they were asked, even when "treaties" were signed of mutual defense. That is, the Spartans did not help Israel until after Israel asked them to, with a reminder of the mutual defense pact. The Jewish people are taught to lead by example, not by bashing and attacking people who fail to live up to the standards we expect from them. The Talmud also teaches to push with the right hand, but pull in with the left. By all definitions of the term, war is never a force which "pulls with the left", but rather going to war is like pushing with both hands. Sometimes that is needed, such as when emptying the land of Idol worship, or defending your land, but that is not the way that the Torah teaches us to influence other nations. Afterwards, he may wage a milchemet hareshut, i.e. a war fought with other nations in order to expand the borders of Israel or magnify its greatness and reputation. However, when it comes to non-war activities, the Prophets teach us a different lesson. Yonah was sent by Gd to go to Nineveh to warn the Assyrians that they need to repent else face the city being overturned. It is clear from here, that the Jewish people do need to help those of other nations, but should do so peacefully and with words, not with military action. Trade embargoes, harsh words, aiding the enemy of the evil nation, are all valid and peaceful ways of "intervening" with nations that behave wrongly. As to your question about North Korea, I was actually thinking about that today while listening to the news about Syria. Why doesn't Israel intervene and become the "hero" in this dire situation? I think the answer to this is the same as the answer above. If the people/leadership of the "rebellious" faction. (That which is being killed by their government) does not ask for intervention from a specific country, then said country does not have the permission to get involved. However, based on the last line of the Rambam, it seems that if saving the people from their government would increase the reputation of the nation doing so, then it would certainly be allowed. As we saw in Iraq however, saving a people from their oppressive government is not always an enhancement of reputation. Yet in Libya or Kosovo it was. According to Rav Kook's perspective, you can see this sort of logic played out on an individual level with regards to the theoretical halachas of who you are allowed to save on Shabbat and other moral dilemmas, even though in practice an individual should save anyone. (For various different theoretical reasons). To be more clear, even though the practical halacha of an individual and the nation are different, the theoretical constructs behind the situations are the same. Shortly before the first Gulf War, an article appeared in the Journal of Halacha and Contemporary Society discussing halachic views towards US intervention in this case. It included, among other things, the possibility that just as if Fred was drowning or surrounded by bandits, Ernie should try and rescue him, so too if Country A is being threatened then Country B should go rescue it. However there are some significant limitations on the obligations to rescue, including what degree of risk, and cost, is entailed. Hence a lot of gray; I suppose an isolationist and an interventionist would debate what the actual risks and costs are, too. As far as strict halacha is concerned, it was taken for granted that nations would go to war -- some wars are "obligated" (milchemet mitzva), others only "authorized" (milchemet reshut). I heard Rabbi Hershel Schachter say that, for instance, halacha would allow the UK to go to war with Argentina after the latter invaded the Falkland Islands, though not a single UK citizen's life was at risk. The Gemara says a king who attempted to rule well, but went to war and got a lot of soldiers killed, is still not punished by G-d. So the question isn't Jewish law's allowance or requirement of interventionism vs. isolationism, it's more of a more difficult, nuanced, case-by-case question of Jewish thought -- when is it wise? Not the answer you're looking for? Browse other questions tagged halacha halacha-theory malchut-royalty public-policy .